Beatrix Potter’s classic picture book sees new life in this enhanced eBook version, that renders the original illustrations & text in the fixed layout format preserving the original book design and layout . 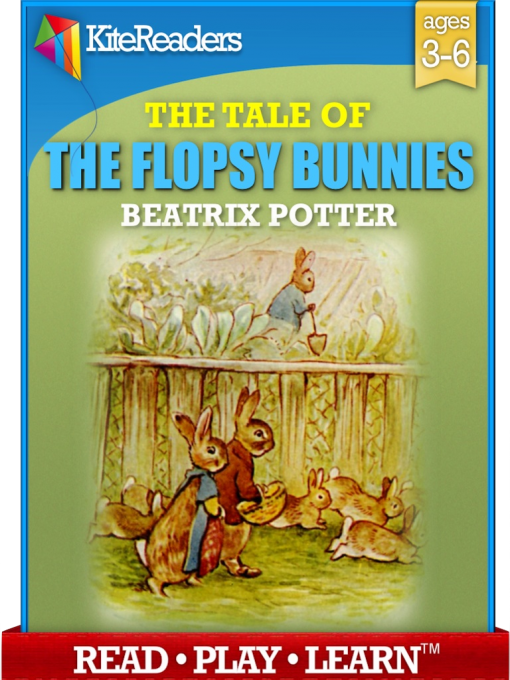 In The Flopsy Bunnies, Benjamin Bunny and his cousins Peter and Flopsy are adult rabbits. 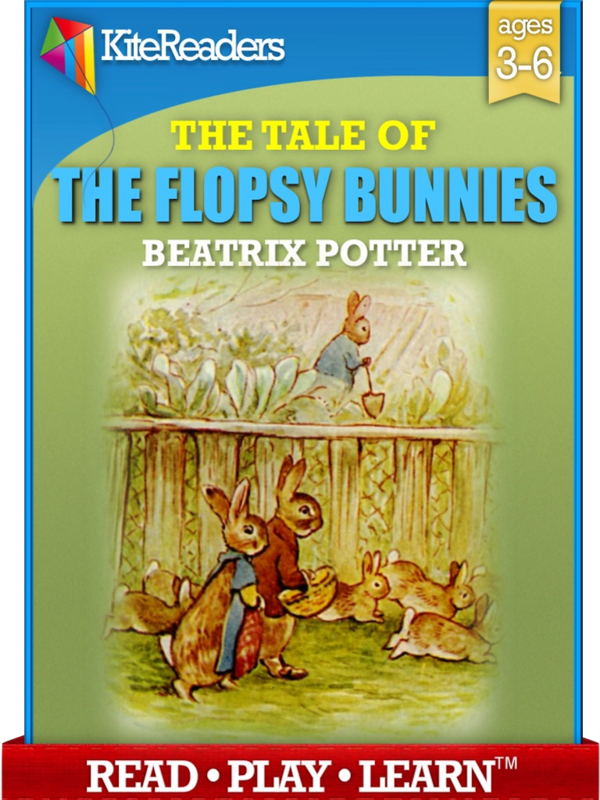 Benjamin and Flopsy are married, and the parents of six children called simply The Flopsy Bunnies. Food is not always readily available to the large family and they are forced to resort to Mr. McGregor’s rubbish heap of rotten vegetables for sustenance. Mr. McGregor catches the six Flopsy Bunnies after they fall asleep in the rubbish heap and puts them in a sack, intending to sell them for tobacco. When McGregor is distracted for a moment, the sextet is freed by Thomasina Tittlemouse, a woodmouse, and the sack filled with rotten vegetables by Benjamin and Flopsy. At home, Mr. McGregor receives a sharp scolding from his wife when she discovers the vegetables and believes her husband is playing a trick on her. Your Computer (via Amazon’s Cloud Reader), Kindle Fire, iPad*, iPhone*, and iPod touch*.